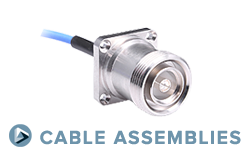 These extended-frequency, precision SMA series connectors feature maximum VSWR of 1.15:1 from DC to 18 GHz, and 1.25:1 from 18 to 26.5 GHz. 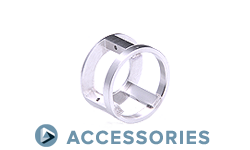 Along with cable connectors for semi-rigid cable, our SMA 26.5-GHz line includes receptacles with post contacts and integral metal contact rings, and field-replaceable types in a variety of flange sizes. 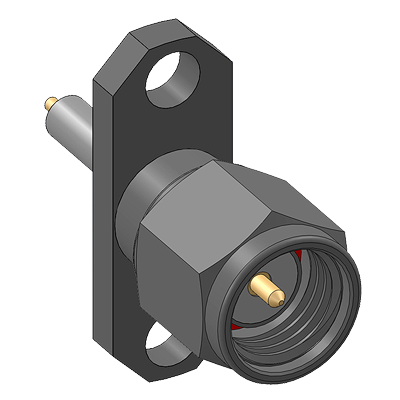 These field-replaceable receptacles are available as jacks or plugs, each with a choice of air or PTFE rear dielectric matching sections, and with or without EMI gaskets. 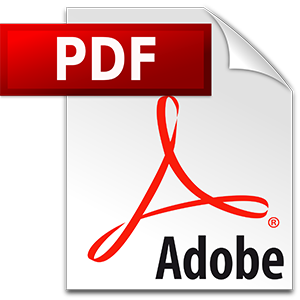 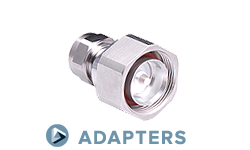 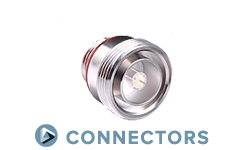 Three types of SMA 26.5-GHz adapters are also included in this series, as are bulkhead receptacles.